Can Chia Seeds Boost Your Energy Level? 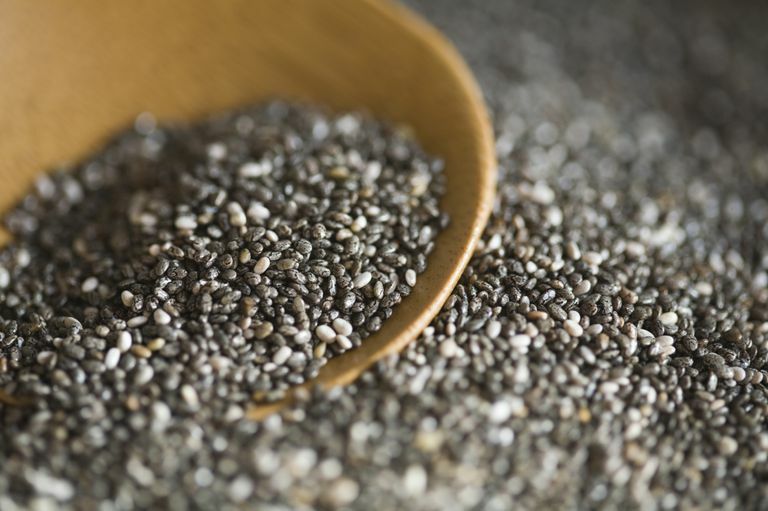 Chia seeds—popularized in the 1970s as chia pets—are a heart-healthy addition to any anti-aging diet, thanks to their high levels of fiber and omega-3 fatty acids. But these days, chia seeds are being hailed as a superfood, offering everything from weight loss success to huge boosts in energy. Can chia seeds, in fact, keep you running all day long. Chia seeds, once a diet staple of the ancient Aztecs, were highlighted as a modern-day nutritional marvel in Christopher McDougall's 2009 best-selling book Born to Run. McDougall profiled the Tarahumara tribe of Mexico, and their ability to run distances of 100 miles or more, with little else but chia seeds in water, as fuel. Since then, books like The Aztec Diet, and Chia, along with chia manufacturers, have promoted chia seeds as an energy food. David Nieman, Director of the Human Performance Laboratory at Appalachian State University, has conducted some of the few research trials on chia seeds that exist, examining their role in weight loss, and reduction in disease markers. While none of his studies found any effect on body mass or composition in the subjects who took up to 50 grams (about 6 tbsp) of chia each day, he believes chia seeds do provide an energy boost, for runners and non-runners alike. "These seeds do seem to offer people a good source of energy," he tells me. "But that's because they contain a lot of fat. I'm sure that's why they were valuable to the ancient Aztecs: as an oilseed, chia seeds can carry a substantial number of calories in a small volume." Nieman and his colleagues have also examined whether chia seeds in water enhances performance or speed in endurance cyclists when compared with water alone. His research, however, found no performance advantage: the randomized study involved giving a small group of experienced cyclists 25 grams of milled (ground) chia seeds each day for two weeks. At the end of the 14-day period, the test subjects were given additional chia and put through a cycling time trial. The cyclists consuming chia in water performed no better (in performance time) than those who did not get any chia over the study period. Chia seeds may help you lose weight because they absorb water, and water within food has been shown to satisfy longer than water consumed with a meal. You can likely feel free to add chia seeds to your anti-aging breakfast or green smoothie, without fear of digestive problems later. However, if they do cause gas or intestinal bloating, scale back on the amount you eat each day, try increasing your water intake, and let your body adjust to the increased fiber more gradually. Arnot, Bob. The Aztec Diet. HarperCollins. 2013. Coates, Wayne. Chia: The Complete Guide to the Ultimate Superfood. Sterling Publishing. 2012. David Nieman, Director of Human Performance Laboratory, Appalachian State University. Interview conducted April 30, 2013. Nieman DC, Cayea EJ, Austin MD, Henson DA, McAnulty SR, Jin F. "Chia seed does not promote weight loss or alter disease risk factors in overweight adults." Nutr Res. 2009 Jun;29(6):414-8. Nieman DC, Gillitt N, Jin F, Henson DA, Kennerly K, Shanely RA, Ore B, Su M, Schwartz S. "Chia seed supplementation and disease risk factors in overweight women: a metabolomics investigation." J Altern Complement Med. 2012 Jul;18(7):700-8. Should I Be Concerned About Side Effects From Chia Seeds? Can Your Nightly Piece of Chocolate Help You Live a Longer Life?